Honda has added a more powerful 1.5-litre i-VTEC 130PS engine as part of a mid-life facelift of the Jazz. Available exclusively as a Sport model, it will cost £17,155 and is available to order now. The Sport model gets LED headlights, front fog lights, side skirts, a rear spoiler and gloss black 16-inch wheels. Inside it has a special pinstripe pattern on the seats plus a leather steering wheel and gear lever - all with orange stitching. Flash indeed. 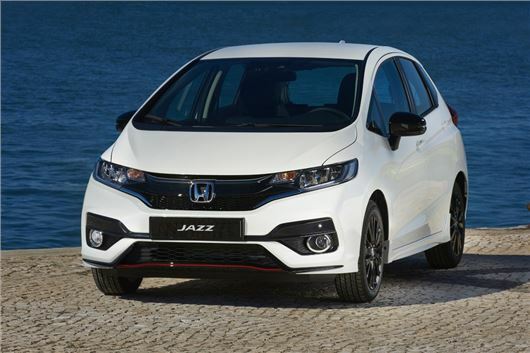 The non Sport Jazz is still powered by a 1.3 i-VTEC engine with 102PS with prices starting at £14,115 for the S. This gets air conditioning, cruise control with a speed limiter and automatic lights. SE models are priced from £15,615 and have front and rear parking sensors, electrically adjustable and heated door mirrors plus 15-inch alloy wheels. Top grade is the EX, priced at £17,115, which has smart entry and start, automatic climate control and a reversing camera along with 16-inch alloy wheels and front fog lamps. A new Skyride Blue metallic paint option is also available for the Jazz.